Goodreads: When 22-year-old Ginny Martin discovers her husband has been cheating on her, she strikes back. Buying tickets to every concert on the Rolling Stones North American tour, this devastated suburban housewife packs up the car and takes to the road. 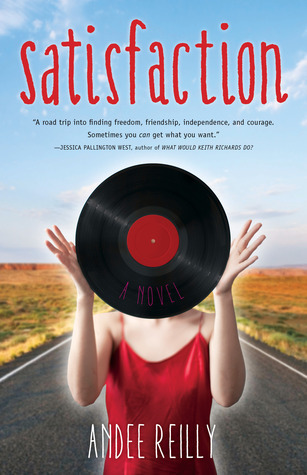 Following the Rolling Stones from Los Angeles to Oklahoma City, Ginny experiences freedom for the first time, while coping with the insecurities and limiting beliefs that had kept this small town girl’s life far too small. Bree Cooper is a nomad, a free-spirited drifter, and a mother who abandoned responsibility – and her young daughter – years before. When Ginny meets Bree at a roadside diner, they impulsively make the decision to throw their lot in together. In each other they find a friendship that they both had longed for. Bree also gives Ginny a chance to have a mother-figure who inspires independence and encourages confidence, while Ginny gives Bree a chance to get parenting right on the second try. Kritters Thoughts: Two polar opposite characters come together in an interesting way to create this story. A 22 year old ole soul Ginny Martin recently left her husband of 4 years as she found out he was cheating on her. On the opposite side a young soul wanderer Bree couldn't find comfort in long term relationships or as a mother to her child. Together they end up on a road trip following the Rolling Stones band and end up influencing each other. I am usually a fan of road trips, but this one didn't quite feel as road trippie as I wanted it too. I felt like there wasn't as much travel as I like. I did love the characters. I liked that the older age person acted younger and the younger age person acted older. It was fun to see them influence each other and show each other the perks of living the other life style. I wouldn't rule out this author and would definitely try her next one, but for some reason this one didn't do it for me.